XFCE in Xubuntu looks quite nice, the developers of Xubuntu made it look and work really well. Anyways XFCE was lacking many of the features that GNOME offers (among which the most important one in that case was creating Icons on the desktop). Even though creation of XFCE icons on the desktop has ways to be done, this is quite a complex process and its complete un-interactive. Besides that I could not find a way to add programs to XFce's main menus (as icons). Therefore Xubuntu's Xfce is not suitable gui envorinment for Linux novice who had no knowledge on Linux commands and stuffs. On the other hand I've seen many users coming from Windows world to Linux to have cope approximately well with GNOME. 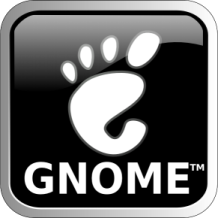 Installing gnome using the above apt command should be also the same on most if not all Debian GNU / Linux based distros.